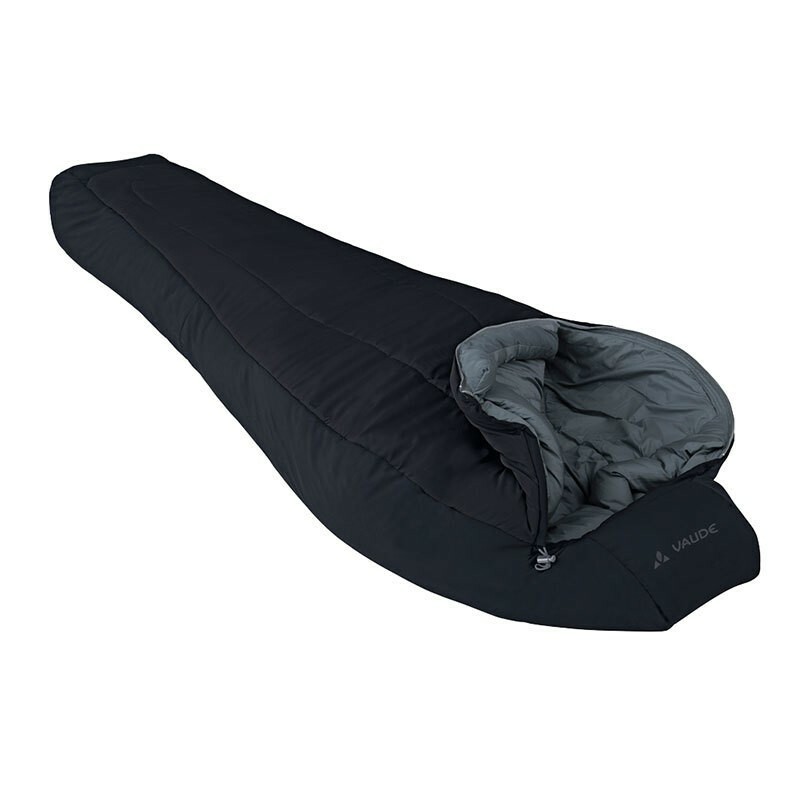 The sleeping bag Vaude Sioux 100 offers plenty of comfort. A sleeping bag with all weather heat: very lightweight, breathable and easy-care 3-season synthetic bag in mummy form, made ? ?from environmentally friendly bluesign ® certified materials. The Sensofiber microfibre filling reflects body heat, but conducts moisture away from the body and thus ensures a comfortable sleeping environment. Like all synthetic fibers Sensofiber warm even when wet, is quick drying, easy to use and durable. The Sioux 100 is a lighter-weight outdoor sleeping bag with a small pack size for trekking and hut tours in warmer climates. Vaude is the label for products that are made ? ?especially environmentally friendly. The products must either be at least 90 percent organic cotton, recycled materials or wood fiber Tencel ®, have been dyed with environmentally-friendly eColour VAUDE dyeing or textile world's strictest environmental standards bluesign ® comply. bluesign ® is the world's strictest standards for environmental protection, consumer protection and occupational safety. All environmental aspects of production are critically reviewed and optimized permanent: use of materials, energy, water, wastewater, air emissions, noise, waste, handling of hazardous materials. A "bluesign ® product" should display this symbol only if at least 95% of all product components have been certified by bluesign ®.